I could sit here all day long and wax lyrical about the amazing rugs Armadillo & Co are about to launch for our littlest people and their spaces, but I’ll let the photos do most of the talking. But know this – if you want a rug free of fire engines or butterflies, it’s frankly imperative that you read on. 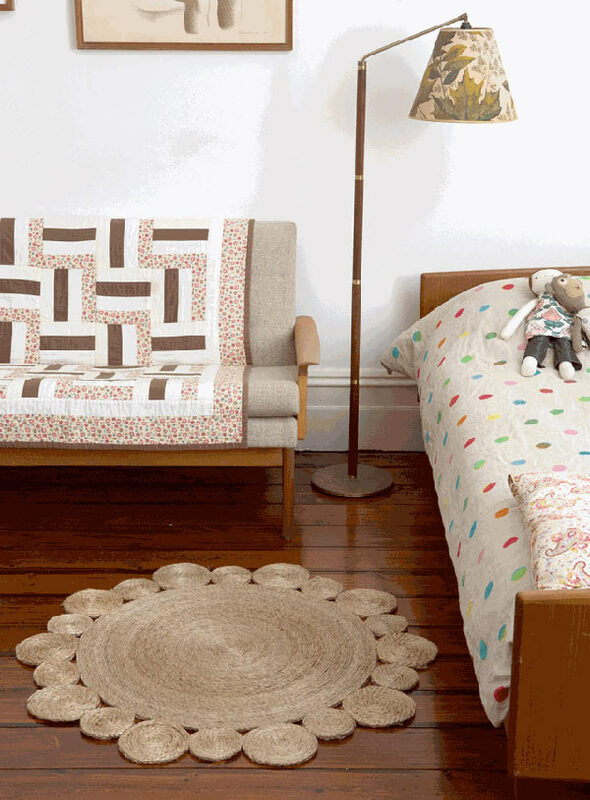 Armadillo & Co know lasting, classic style and it’s evident in every weave of their rugs. This week we celebrate the pending launch of their Junior Collection which is a magnificent nod towards their regular designer rug collection, many being scaled down versions of the originals. Looking great as a single rug or in a trio of colours, the Pinwheel is a hard-wearing natural hemp weave rug with a generous target of colour in either Chilli, Canary, Bondi or Wasabi. The Pinwheel rug comes in two sizes. 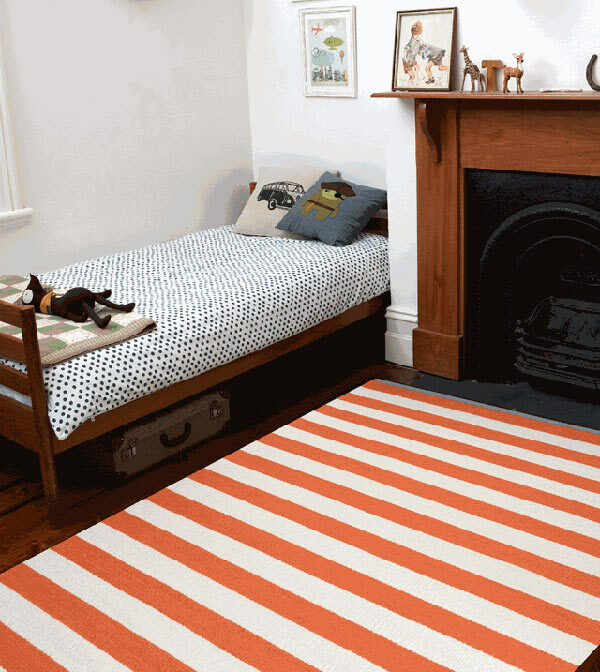 If you can’t see past a striped rug (and I don’t blame you one bit if you can’t), you’re spoilt for choice! Nest weave Carnival stripe is available in several stunning coloured stripes that include Buttercup, Robin, Elephant, Frog, Piglet and Eggshell. I predict the junior versions of Flower weaves will become favourites – just try to resist constantly running your hands over the coiled and swirled weave petals of the Marigold or Daisy. 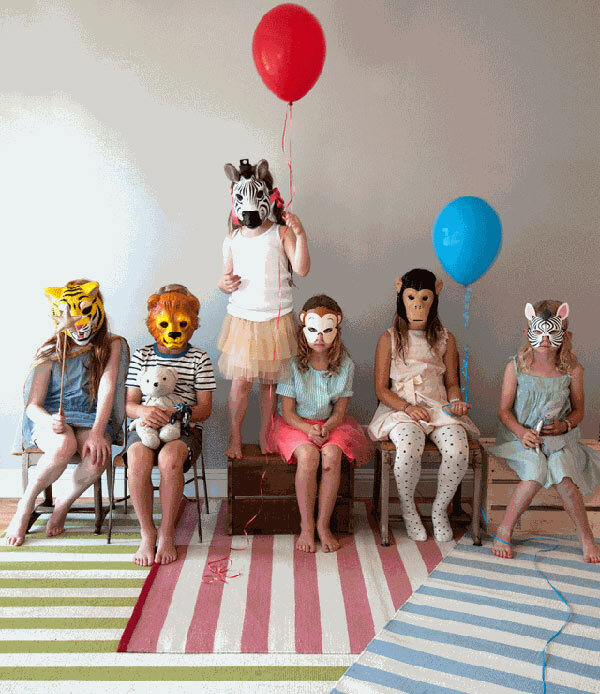 The Junior Collection rugs from Armadillo & Co will most definitely grow with your child to be as fabulous in their tween room as what they will be in the nursery. 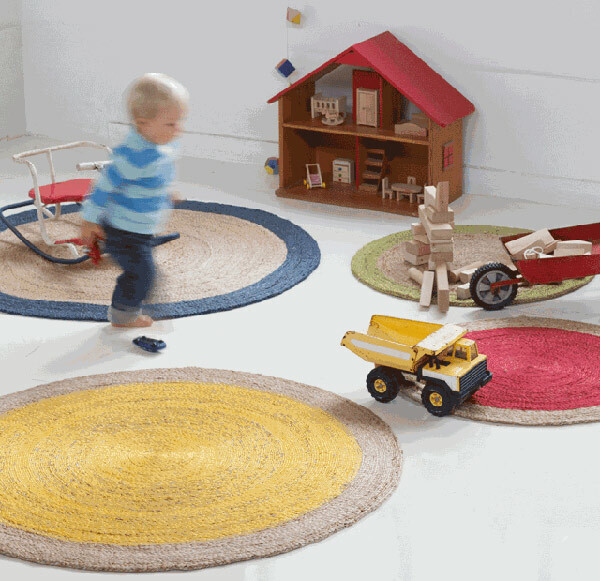 I suspect these smaller size rugs will also be perfect for smaller living areas needing a touch of underfoot wow factor! 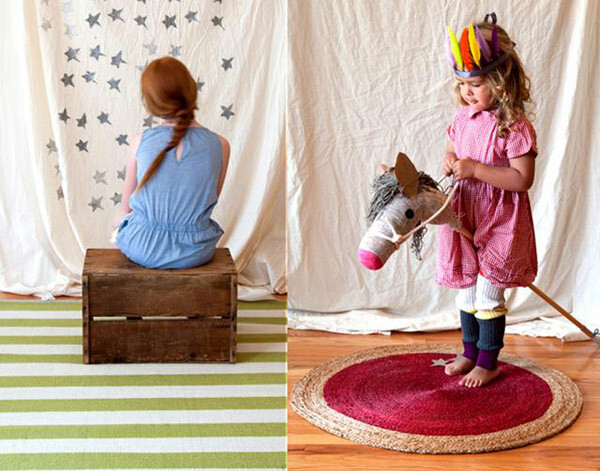 Armadillo & Co Junior Collection rugs will be available from August 2013, be sure to check back to their website for pricing and stockist details.